Looking Like The National Debt? Making Savings on the Grocery bill is getting more difficult every day. For groceries, our hard-earned dollars are challenged to stretch further. And the current administration does not seem to care! Why you ask? The Fed analysts make the numbers look like there is no inflation so they adjust them to suit their political needs! For instance, they take the price of fuel out of the equation. We all know that the cost of fuel is figured into pricing, so why does the Federal Reserve choose to ignore this basic fact? Go figure, but first they (the feds) want to keep most of the people on public assistance and second, they think we all are stupid! So, we have to find ways to spend less on groceries while still getting the things that we need to feed ourselves and our families. Here are six food shopping saving tips to try the next time you go for food. 1. Clip coupons. They put those in the newspaper for a reason. If there are new items you want to try, use a coupon to get it at a discount. If you like it, you have saved some money. On the other hand, if you don’t like the new product, you didn’t pay full price. 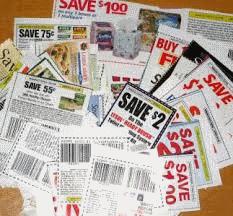 For me, coupons save an average of ten or more dollars per visit. That’s money in my pocket that I can put towards gas for the car to get to the market! 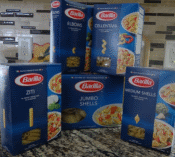 It is easier to buy a box of macaroni and cheese, but is it more economical? A large box of macaroni and a block of cheese will make more servings for your family than one box of prepared macaroni and cheese. The next time you go shopping and pick up a box or bag of an already prepared item, ask yourself if you can make that at home for less. If you can, then put that item back in favor of less expensive staples. In addition, if you follow some of our cooking trends, you can make meals for 2 or 3 days and keep the family happy to eat at home. 3. Buy in bulk. Consider the food items that you use most often. Cereals, meats, vegetables, condiments, juices, and paper products can be bought in bulk usually at a lower price at food warehouses like Costco, BJ’s, and Wal-Mart. 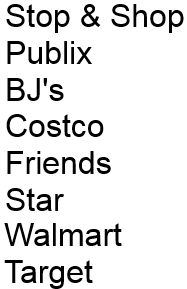 If you have a coupon, you’ll save even more money. This is a definite no-no! Shopping on an empty stomach means that you will pick up more things than you need. This is another protection against picking up things that are too costly. Check your cabinets and the fridge to see what you need and write them down. This is more of a frustration reliever. In a new store, you spend most of your time looking for things and walking up and down every aisle, which oftentimes leads to forgetting an item or two. 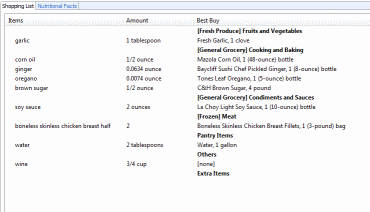 Going to the same store each time makes you more familiar with the location of the items you intend to purchase and you get to know approximate prices so you can estimate your bill as you write your grocery list. If you "cherry pick" and have the stores close to your proximity, this too can save you money, but remember, your time and travel have to be considered when cherry picking. Rising prices don’t have to mean a lean dinner table. For example, you may be only going for a pound of sirloin but find they have a pork or beef tenderloin at a rediculously low price per pound. This will give you many main entrees your family will love. There are ways to make your food dollar go further and if you take the time to implement the ideas listed above as well as others of your own. You’ll see savings each and every time you grocery shop. 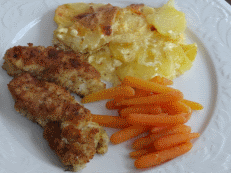 Stretch Your Grocery Bill With Chicken..Try these Ideas! Find Great Meal Ideas to Save More!